With the trend of parts needing to become smaller, lighter, and more complex, one of the issues that can arise is part volume set back due to multiple operations needing to be performed. However, at Ardel Engineering & Manufacturing, we use our Citizen Swiss Screw Machines to solve this problem. The live tooling and part index abilities of our Swiss Screw Machines allow us to load a full bar of stock and produce burr free parts in one operation. This eliminates the need for material sawing, setting up multi vises or a 4th axis rotary indexer to handle the machining on multiple sides of the part. Using a Swiss Screw Machining also eliminates the possible process variability since none of the small, typically delicate, parts need to be hand loaded into multiple fixtures. This aspect also offers a cost savings opportunity since the hand loading process is being removed. 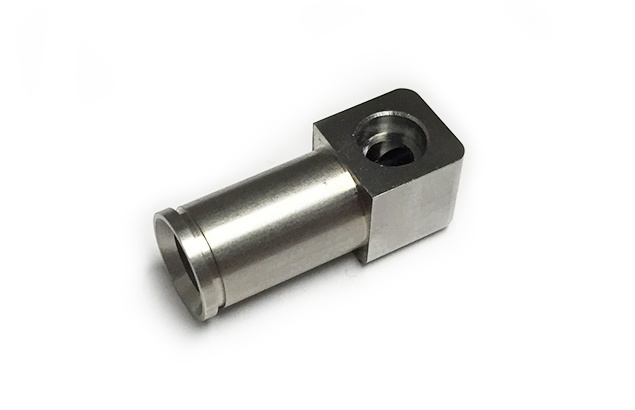 Our Swiss Screw Machine can handle a maximum part size that fits into a 1 ¼” circle that is up to 4” long. As for a minimum, it is up to your design and Ardel’s engineering expertise and creativity to make the part manufacturable; we can hold the tightest tolerance at ±.0005". In addition, any material that can be found in a round bar format can be utilized for this process. 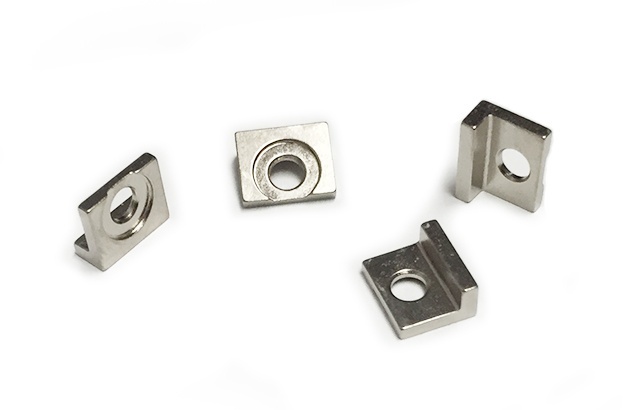 This allows for many additional finishing and plating options, in many colors and protections. 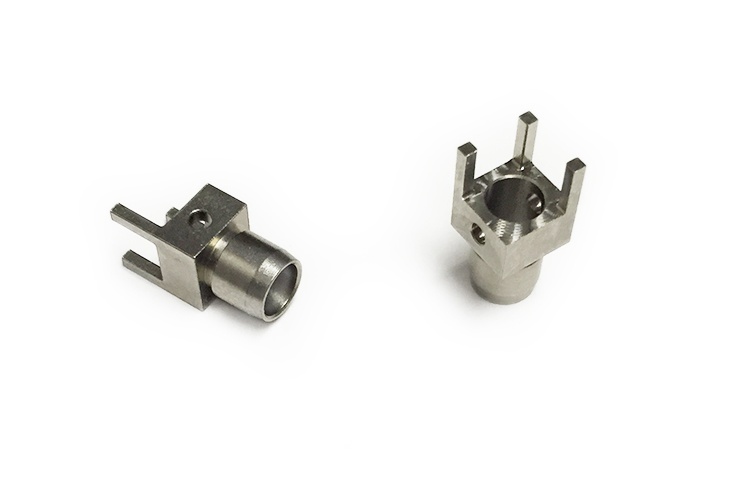 Ardel has produced large volumes of these small, complex parts for many industries and uses. 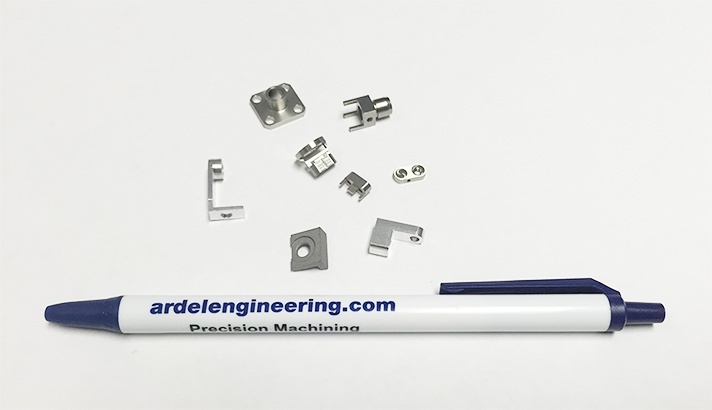 If you need a high volume of small parts, look no further than Ardel Engineering & Manufacturing. Contact us today to find out how we can help you with your next project.